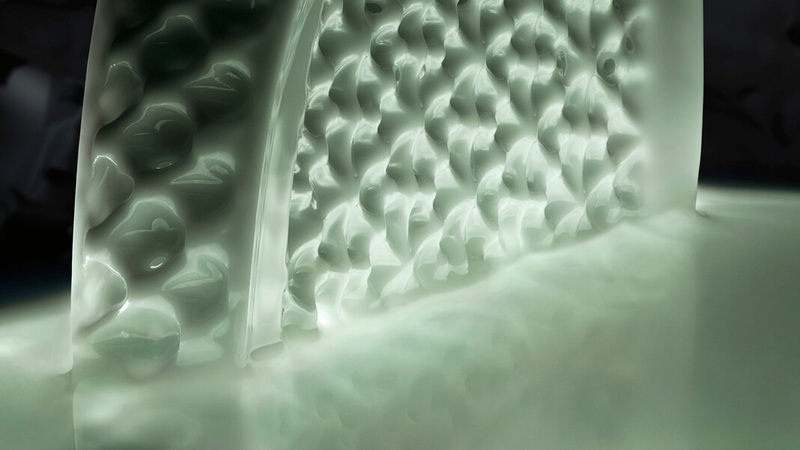 Adidas just announced they’re partnering with 3D printing company Carbon to mass-produce a line of shoes with 3D printed mid-soles (the spongy bit that cushions your foot). 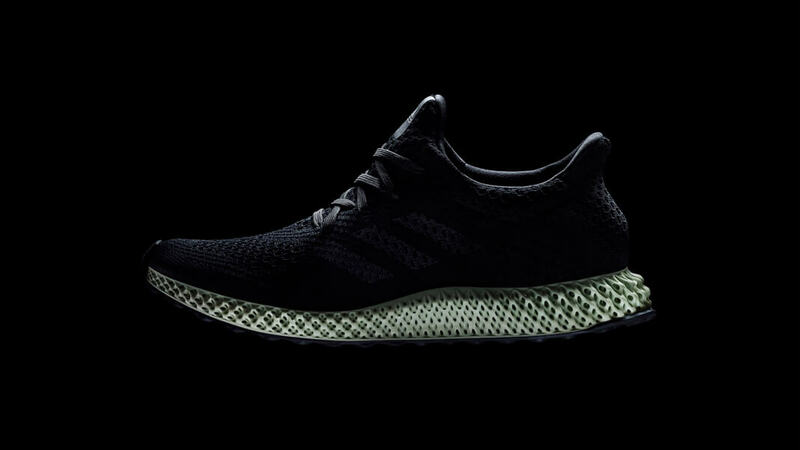 Called Futurecraft 4D, they aim to make 5,000 pairs by the end of the year, ramping up production to 100,000 pairs next year. While 3D printing is often touted for its ability to customize products, Adidas will start with a single design to test the tech. Their ultimate goal, however, is to customize each shoe to fit the unique contours of a person’s foot. This isn’t the company’s first foray into the world of 3D printing—an earlier model of the Futurecraft shoe, made with Materialise, previously sold for $333—nor are they the only shoe company pursuing the technology. What’s interesting about this project is the challenges Adidas says Carbon’s technology can solve. And whereas 3D printed shoes have mostly arrived in small numbers, Adidas commitment to ramp up production is notable. The idea of printing objects on demand is exciting, but the reality is more nuanced. 3D printing is slow and costly. Traditional manufacturing processes like injection molding still reign supreme for mass manufacturing at cost. Adidas and Carbon are optimistic this may be changing for some products. Of the 3D printers we’ve covered over the years, Carbon’s is a personal favorite. Instead of stacking layers to make an object, Carbon uses light and heat to selectively harden liquid resin. The result is very sci-fi. A digital design made manifest is hoisted from a vat of high-tech goo in a single finished piece. But Carbon’s process has practical advantages too. For one, it’s relatively fast. Printing soles used to take Adidas 10 hours. Now it takes 90 minutes. And they aim to further reduce print time to 20 minutes. Also, each sole is printed continuously in one piece, which eliminates weak spots where layers meet. And the sole’s honeycomb geometry—the properties of which vary over the sole’s length—wouldn’t be possible with injection molding. The technology also allows for faster, more complete prototyping. Adidas ran through some 50 designs before landing on their final choice. A typical process, which would require copious retooling, would try out a handful of designs before moving on. 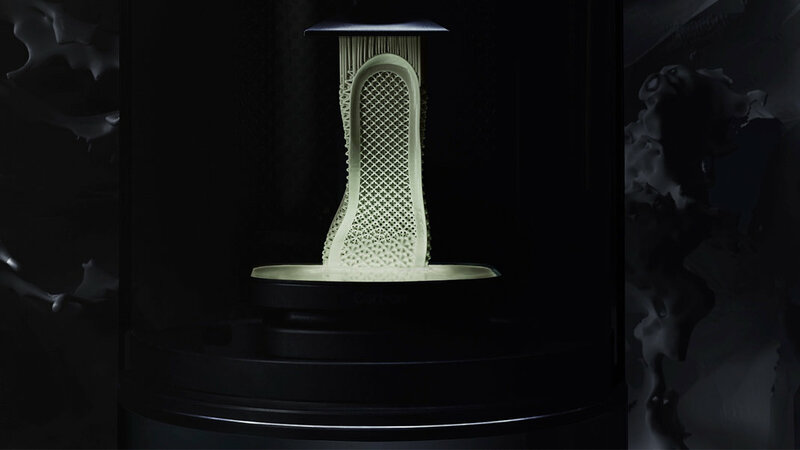 By 3D printing both the design and the final product, Adidas can skip tooling on both ends. And unlike prior prototypes, the design and the final product are made of the same material—limiting the likelihood the final product will perform differently. In addition to Adidas, Nike, Under Armour, and New Balance have their own 3D printed shoe projects, but these have mostly been produced in small batches. While 100,000 pairs of shoes is a drop in the ocean relative to the hundreds of millions of pairs Adidas sells each year, it’s a lot more than a few hundred pairs. Whether the shoe itself catches on? We’ll have to wait and see.